14 nations, 44 days, 49 games. 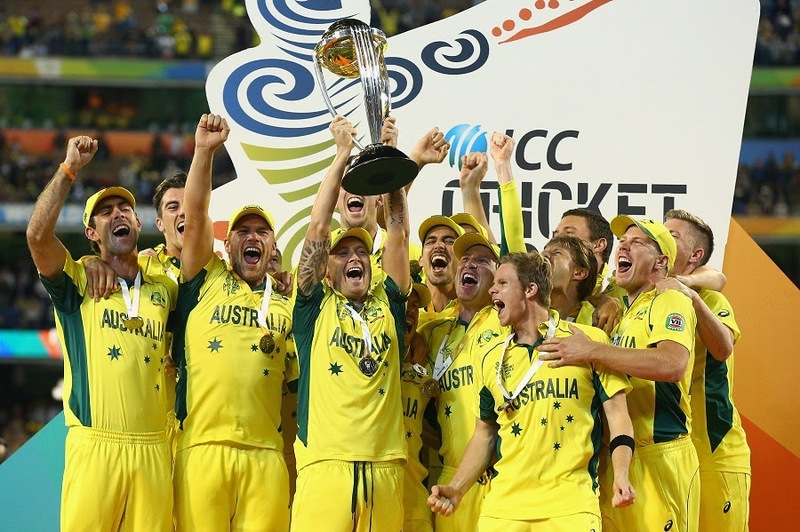 4 best teams reached the semi-finals, 2 best teams played the final, Australia the deserving winners. As they say, all good things must come to an end, the 2015 World Cup is over as well. There were some excellent bowling spells, some magnificent batting performances. Moments of joy, moments of heartbreak. From Christchurch to Melbourne. Stars rising, stars falling, stars failing. This World Cup had all the moments. In a tournament where batsmen like McCullum, de Villiers,Sangakkara, Guptill, Maxwell and Dhawan were scoring runs freely, there were bowlers like Starc, Boult, Southee, Wahab and Morkel producing devastating spells and humiliating batsmen. Elliott’s knock in the semi-final, Smith’s form throughout the tournament. Rohit’s hundred in the quarter-final. Tahir and Ashwin showcasing the art of spin. 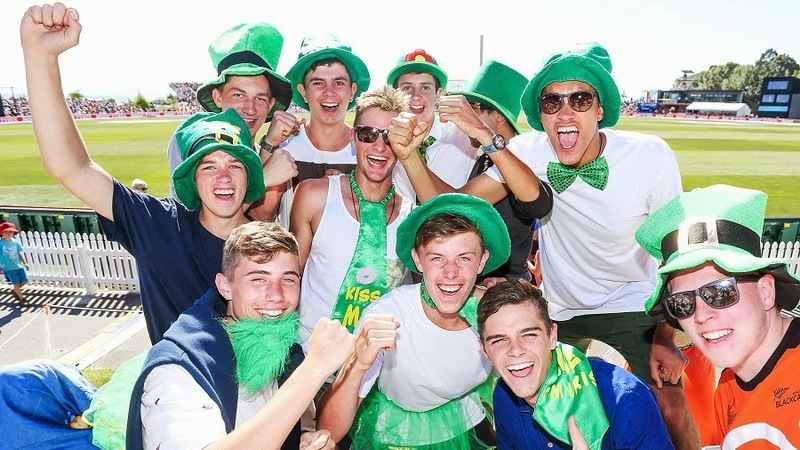 The tournament was full of individual brilliance and some high-quality cricket. 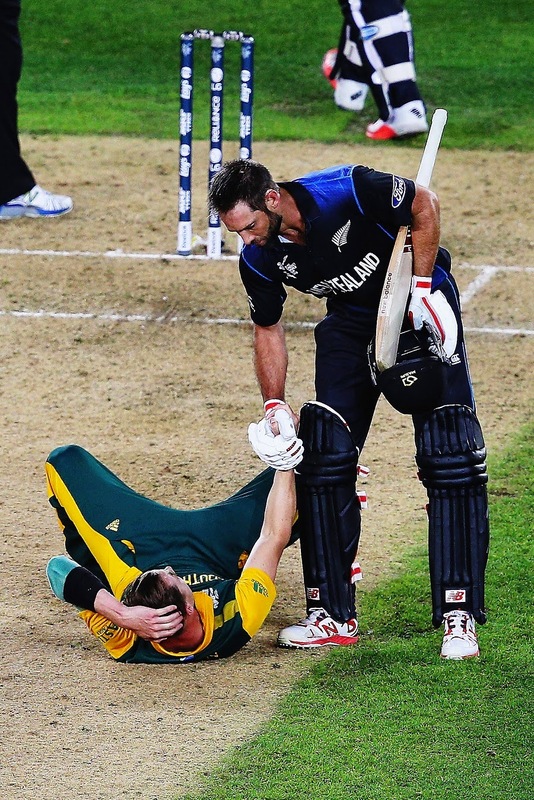 That Elliott-Steyn moment showed the beauty of sport. There is nothing wrong in being humble when you win or being gracious when you lose. Winning and losing are a part of life. You win some, you lose some. Winning isn't everything. Passion should be there in sports. Nothing is wrong in that. But it should be there only during the game, when you are fighting it out using all your power and intelligence. Nothing after that. In the end, it’s just a game. Sometimes, many of us take sport too seriously. A sport is nothing without passionate fans. They are the source of energy for these players. Cricket is lucky to have millions of them across continents. During the tournament, fans travelled long distances to follow their team. Shouting, cheering and supporting from the stands, making different kinds of noises with different kinds of instruments. At times, relaxed. At times, a bit tensed. Sharing the emotions of players. A set of fans celebrating, a set of fans crying. Accepting the outcome and moving on. For many of us, cricket works as an anti-depressant. This World Cup consumed a lot of time. Call it withdrawal symptoms or something else, it has just started to hit me. There is no need to set an alarm, no need to wake up early, no urgent need to open Cricinfo or Cricbuzz to check the scores. It's funny how our daily routine changes when there is a big sporting event is on. Slowly but surely life is returning to the old routine. As they say, change is the law of nature. Cricket will always be there, if not World Cup then a certain IPL. But it won't be as exciting. It was fun till it lasted.